BLAH BLAH OF THE MIND: Dil Maange More! Byomkesh Bakshi, the new Bollywood movie I was told is worth a watch. It's a few weeks old isn't it, or is that months? Well, thats how much clued in I am currently to be honest! The last time I visited a movie theatre was in London, like 2.5 years ago. A movie who's climax had driven me nuts. Though my brain had been hinting at what could be the suspense, my heart had refused to accept that plausible explanation even after the director slammed me in the face with it. A ghost causing accidents in an Aamir Khan movie, it took me a few minutes to digest that story even after stepping out of the theatre! Enough about AK having let me down, it's an old story. Let me get to the point. So all that this movie (BB) did for me was remind me of a certain tv serial which went by the same title in those good old days of Doordarshan. The pre-cable era, the golden era filled with quality tv stuff. 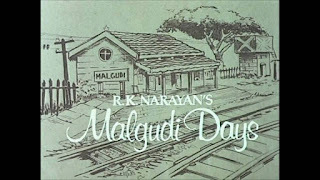 Tenali Rama, Kille ka Rahasya, Chitrahaar, Fauji, Indradhanush, Flop Show, Karamchand, Malgudi Days... I could go on and on. I know it's unfair to those series whom I haven't named, there are so many more worth mentioning. That stuff was simple. The focus was merely the quality of the content. Children's shows were as much informative as they were entertaining back then. There was no need of a Shin Chan yelling in a shrill voice, for a kid to fulfill his daily dose of entertainment. There were no 24 hour cartoon networks, just a simple Tom and Jerry, a childish Laurel and Hardy. There was no Unreal Reality Tv, with the compulsion of featuring at least one contestant with a sad life story; the passion with which the shows were created was real. There was no overload of channels. 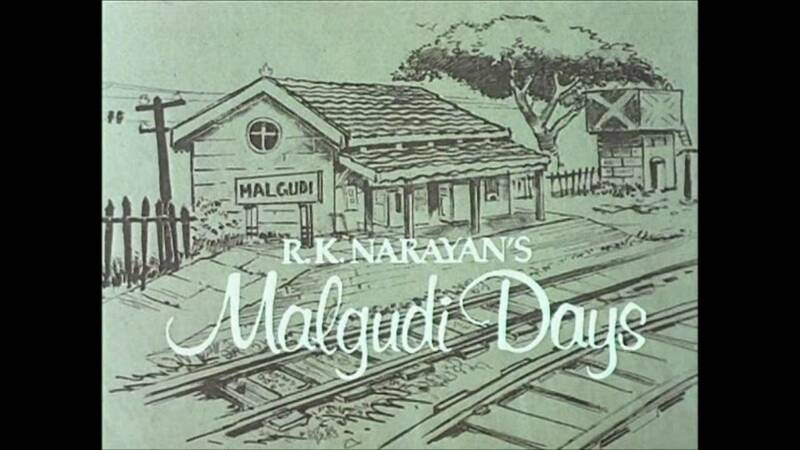 In fact the only channel which was running, never even had a 24*7 telecast. And the question of fighting for the remote never arose. After school hours, homework and play would be followed by devouring the tv stuff which we were allowed to watch as kids. Yes, allowed. A word that may sound strange to today's kids perhaps, but was an inherent word in our dictionary when growing up. Yet there were no complaints. (Or maybe a few :-)). And the end result was totally worth it. So say, it wasn't just the Sunday morning breakfast, but for us, the post breakfast TV session would be a family affair too. The family would sit down and relish stuff like Mahabharata, Chanakya right from the very start. If we'd be busy with something, we would hurriedly wind up the moment we'd hear the title song blaring from a neighbour's house. Fun times. I had a friend who had a crush on Faster Fene. A kid in the building would be teased as Moughli, for roaming the passages in bare minimum clothes. One of my aunts would be compared to Rajni, the socially active protagonist of the serial with the same name. Friends would discuss what could possibly be the answer to the question posed by Vetaal to Vikram at the end of every nail-biting episode (yeah that was our definition of nail-biting at that age and in that era). Innocence well-preserved. I'm sure each one of us who grew up in the 80s and early 90s has his/her own set of favourites among all those gems. Even our parents surely do. And no amount of jazzy entertainment or large scale extravaganza can replace the sweet memories associated with that simple childhood joy. The head knows those days arent coming back, but after all, the heart wants what it wants. Dil Maange More. PS. What are your favourites? Your memories? Nwdys we are missing quality content..
Shriman shrimati, Caption Yom, hum Sab 1 hai.. I would surely agree that today we miss all this. Not only those were quality driven but had finite episodes unlike the ones we have today were they go on leap after leap after leap and finally Baa celebrates her 500th bday. Anyways having said that, i think it has more to do with the change in society, mindset and the demand of the current audience. These new serials do have there own share of huge audience even if that means sitting down and watching mindless episodes day after day. The meaning of the word entertainment has changed. Whether that's good or bad is another question. But luckily we have internet and now can catch up with those old serials once in a while to refresh our memory and say. "those were the times ...."
Yes Sumeet, those indeed were the times..
Hi Leena! great blog..Made me very nostalgic :) I used to love watching chandrakanta, Imtihaan, Surbhi, to name a few serials. btw, some of these serials are present on you-tube. We finished watching the entire Chanakya series last year. The current generation of kids can still watch these serials online. Hey Mayuri, Surabhi, wow! And yes, thanks to YouTube in this regard for making at least some of this stuff accessible. There was another gem called Indradhanush - a sci-fi where a group of teens meet an alien who stays inside their computer. Thank you for the wonderful stroll down memory lane!! Aaah!!! We'd sing and dance forever and a day!! Yep the ones you've mentioned are gems too Suman! Those days were special and so were the memories. Today's kids will have different kinda memories, not innocent ones unfortunately. You remember how Ramayan and Mahabharat serials would stop everything around us. Can't imagine such a thing now. Children too don't understand what we mean. Oh my gosh! Such a sweet post, Leena. Too much noise and way too much doctored 'reality' on that box, these days. Right! TV restrictions, so common in our childhood and so uncommon today! Would like to hear about your boarding school experiences some day.